Who Benefits from Change Management? Is it the employer or the employee? Is change management on the side of the employer or the side of the employee? That was the question an employee asked when attending my training course. My short answer was, yes. It was an interesting question. Having seen many poorly implemented organizational changes I could see why this employee was thinking, change management is just another way for management to push unwanted change through the organization. However, when skilled change leaders facilitate organizational change, the employees, leaders, managers, and employer benefits. 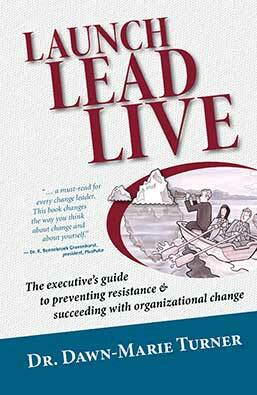 Helping you launch, lead and live change more successfully. https://thinktransition.com/wp-content/uploads/Turner-change-leaders.jpg 895 2100 dawnmarie https://thinktransition.com/wp-content/uploads/Turner-Change-Management-logo-1.jpg dawnmarie2016-03-30 11:11:392018-07-11 16:48:08Who Benefits from Change Management? Without this tool, we may have taken action in the wrong areas and we most certainly wouldn’t have considered the importance of keeping the green areas of the charts green. As part of an Executive Leadership and Development Program here at Manitoba Infrastructure and Transportation, I took part in a 3 day Change Management seminar Dawn Marie led. It was an unbelievable experience. I wish I’d have had the knowledge that she gave our group ten years ago. Her education, experience, creativity and thoughtfulness allowed her to deliver an extremely professional presentation where she used a wide variety of tools and exercises to keep her audience engaged and intrigued.